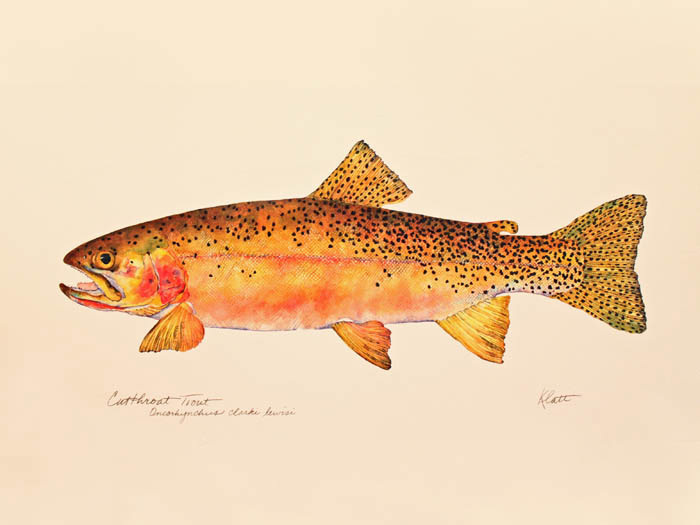 One of the highest compliments I can receive as a painter of fish is “I’ve never really looked at a fish before.” My fascination with fish came naturally, having spent my formative years fishing in nearby creeks and from the docks of Lake Pend Oreille, Idaho. Years later fish resurfaced when I began learning to paint. 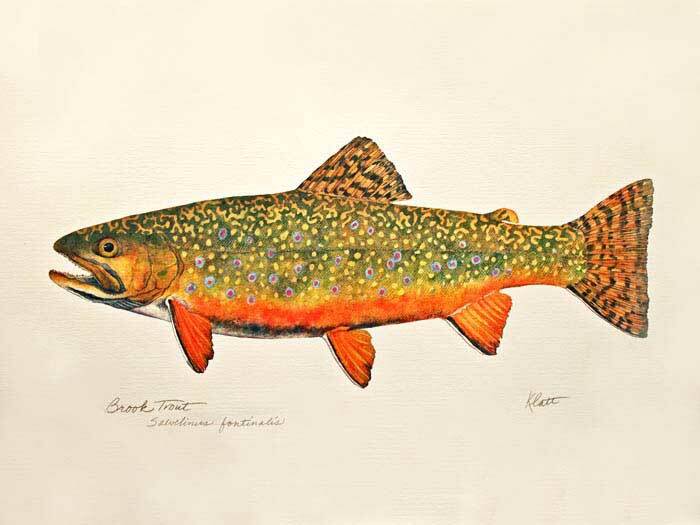 Starting with perch, sunfish, bass and crappie, I painted their ephemeral beauty as well as anatomical forms. Next I turned to trout. 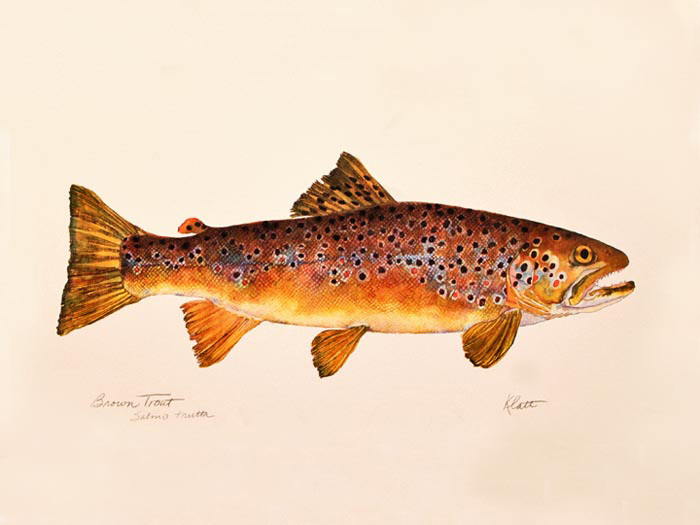 My attempts to paint four “perfect” trout were published as prints in 1995, which are collected internationally. I enjoy getting field reports of sightings in such faraway places as Tasmania, Argentina and South Africa. 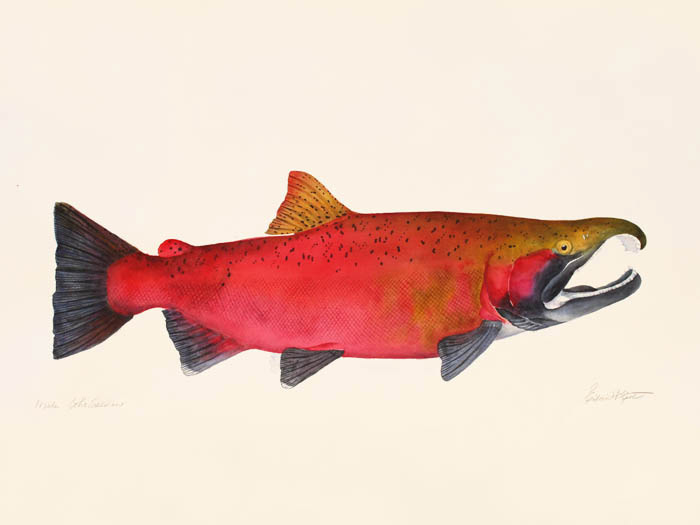 Salmon and steelhead caught my attention when I became aware of the extent of salmon extinction in the Pacific Northwest. 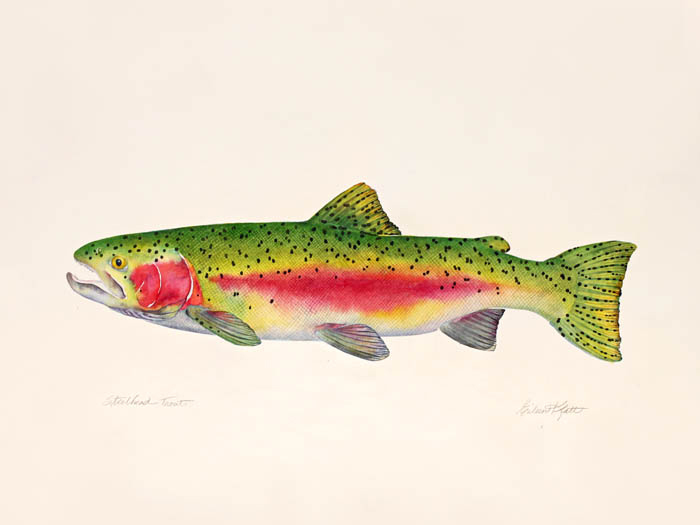 As my interest grew, I focused exclusively on Pacific salmon and steelhead, what they looked like, their habitats and how they lived. First I went on pilgrimage to all the rivers in the Columbia River Basin that historically had salmon populations. 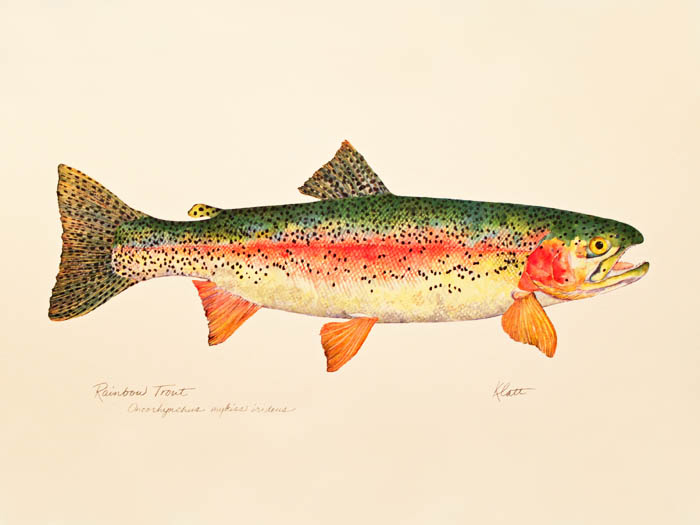 Then I roamed the Pacific Northwest in search of salmon and steelhead to draw and paint. 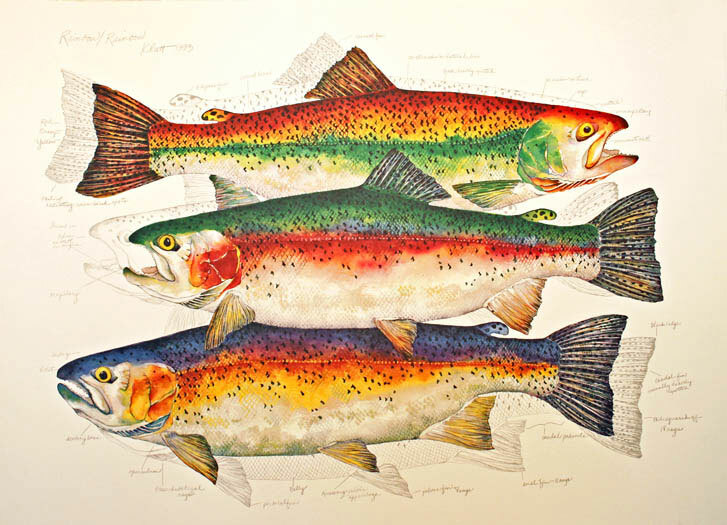 After 15 years of research I completed “A Litany of Salmon,” a series of 61 life-size paintings of salmon dedicated to the extinct salmon populations in the Columbia River Basin. 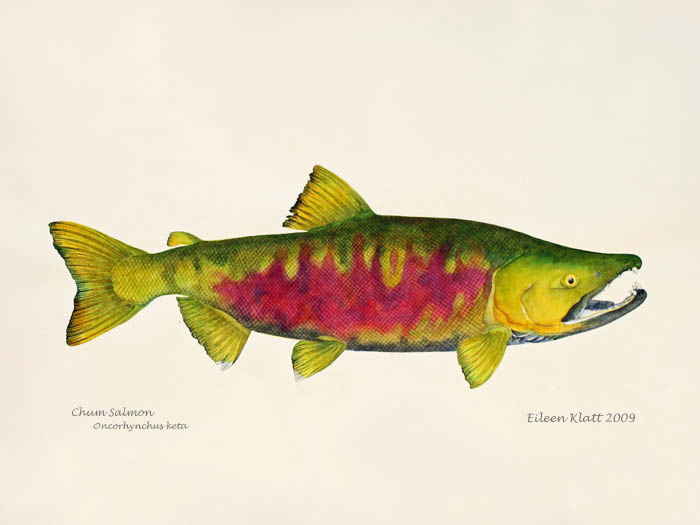 “A Litany of Salmon” has been exhibited in museums and galleries around the Pacific Northwest and is available for future exhibitions.